​It’s one thing to get rid of fleas on a cushion or two – but an entire house full of carpet?! The fight that takes place on the carpet is your very own Battle of Saratoga and if you play your cards right, it will give you decisive victory over the entire flea battalion.Here’s why. For upholstered furniture (i.e plushy, cushion-y couches) – remove all the cushions, wash and dry the covers on the highest setting and vacuum everything. If you can, go the extra step and steam clean it as well – fleas at all life stages can’t survive temperatures above 95 degrees Fahrenheit so the heat will kill the ones it reaches. The heat can also cause dormant flea pupae to wake up, making them easier to kill.We recommend McCulloch’s Heavy Duty Steam Cleaner – it heats water to over 200 degree Fahrenheit, produces strong steam and you can use it on both your upholstered furniture and carpets. ​Meet the vacuum cleaner – it will be your lieutenant general in your war against fleas. ​Why it's awesome: Fleas at all life stages can't survive temperatures above 95 degrees. 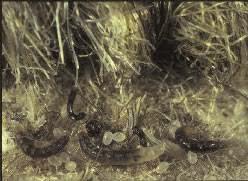 And even if the steam doesn't reach deep enough to kill all the fleas hidden in the carpet, the heat alone could be enough to simulate dormant flea pupae to leave their cocoons - which makes them much easier to kill since their cocoons are often attached to the carpet fibers. It's also a totally natural way to kill fleas and sanitize your space at the same time, which if great if you've got kids around and are looking for non-toxic ways to get rid of fleas in the carpet. And remember that the best way to make sure you get rid of fleas in your carpet completely is to clear not just your carpet – but your pets, all areas of the house (including your bed if the flea infestation was severe), and even your yard. Dog urine not only stains fabrics and porous surfaces, but also leaves behind an unpleasant odor.